The more I watch the news, the more I miss “Occupy”. When the Occupy movement first appeared, I was skeptical. Could such a diverse, disorganized group ever effect real change? As a middle aged observer, I had my doubts. But I watched, and I read and I listened. And I had a direct line into the movement because my three young adult children were caught up in the hope and the energy and the excitement. All three of them joined the movement. When the media depicted the Occupation as a group of disaffected hippies, I had a different view. I knew the young divinity student who was serving as a minister to the occupiers. I knew the young teachers who marched in support of appropriate funding of public schools. I knew the young college kids who skipped class to make a point about the unacceptable income divisions in our country. I knew them. When my three children marched with Occupy Wall Street, I had to take them seriously. I know my kids. They aren’t frivolous, or entitled or self aggrandizing. They work hard, they live frugally, they give generously to those who are in need. They introduced me to the Occupy Movement, but the more I read, the more I felt compelled to help. Occupy Wall Street was a people’s movement. It was an outlet for the anger and the frustration and the sense of desolation that is felt by the working class in this “exceptional” country. 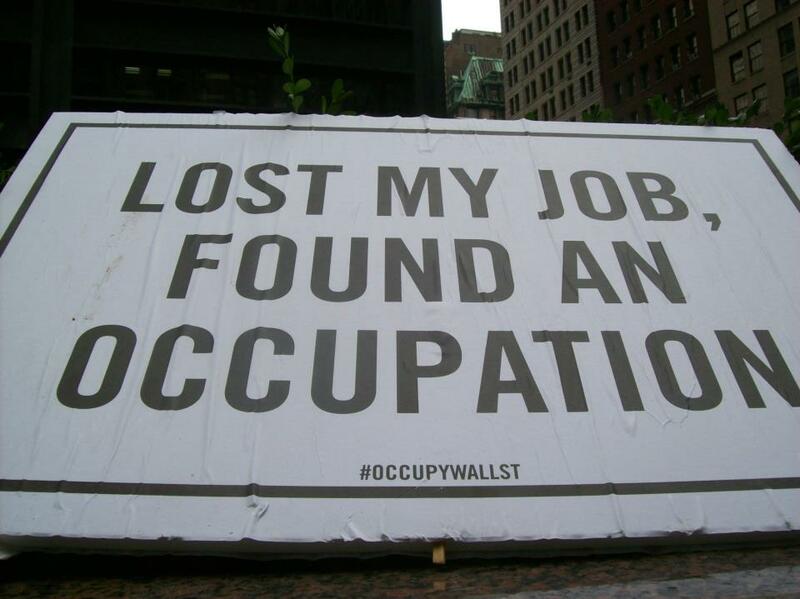 Occupy Wall street was the voice of the people. It was power and freedom and real democracy. It was a breath of desperately needed fresh air in the vacuum that is the American political system. It was our voice, our anger, our First Amendment. Right up until the government-owned police came in and shut it all down. Right up until the First Amendment was ripped away from us. So now, in the age of ever worsening income disparity, I miss Occupy Wall Street. Now, as we watch Americans struggling to pay for health insurance that is mandated by the government but provided by private companies, I miss Occupy Wall Street. As I listen to the stories about how closely my government is monitoring my every phone call and email and online conversation, I miss Occupy Wall Street. I don’t fault the young people who were forced to give up the good fight; they were arrested and harassed and shut down cold by our government and its hired guns. They had no real choice. Still, I miss you, Occupy Wall Street. I miss your energy and your honesty and your willingness to take on the big guys. I hope that the older people in your lives (like me) can step up and help you to reach those goals that you so optimistically set. 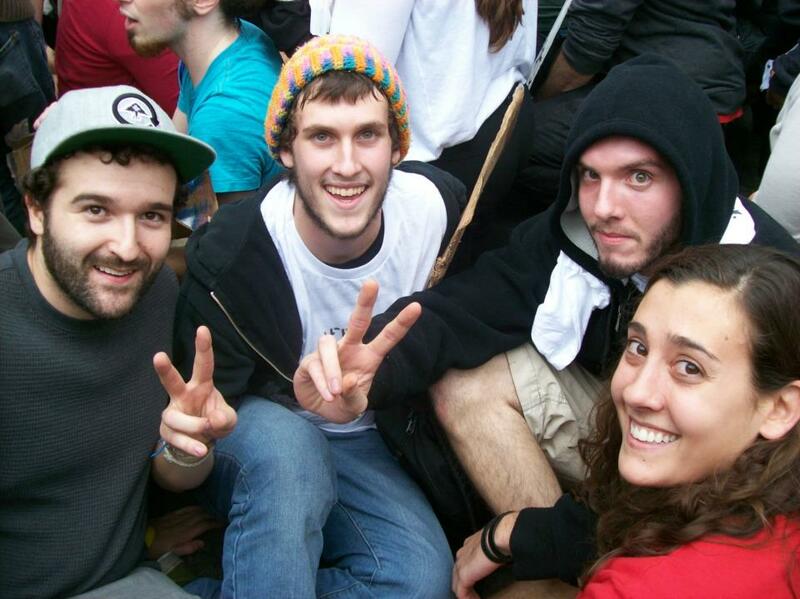 My four favorite Occupiers, awaiting arrest on the Brooklyn Bridge. I hope that my generation can prove ourselves worthy of your trust. Come back, please, Occupy Wall Street!!! They made the news actually watchable. I agree. They question things – why does it have to be like this? We need to questions to be asked! What worries me is that I feel they were intimidated out of existence, and that is a dangerous development.